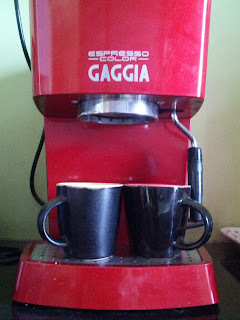 My quest for home made espresso started with a Gaggia Espresso Color from ID-Gourmet, Mumbai. 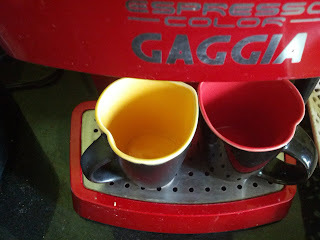 Shortly afterwards, I realised that the pressurised baskets that come as part of the deal won't cut it for real espresso. So, I spent Rs. 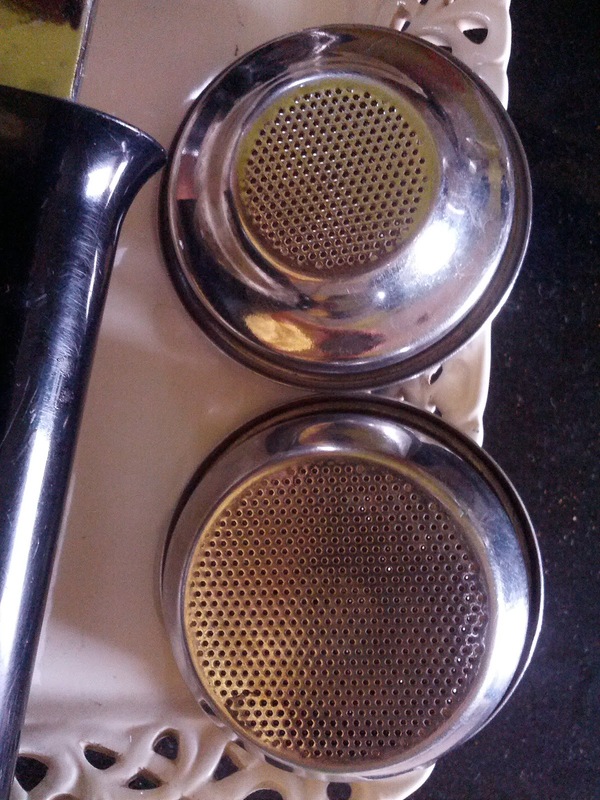 1500 extra to upgrade to these real filter baskets which allow me to get the 'real' crema on my espresso. 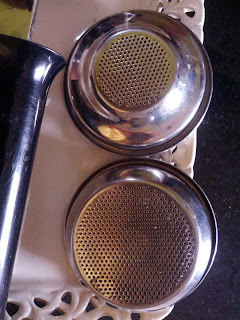 Next was the realisation that unless coffee powder is compacted with sufficient pressure, the espresso is not thick or rich enough. 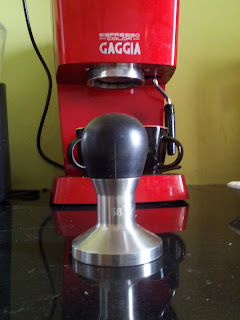 Resulted in the purchase of a Rattleware 58 mm tamp from Amazon. 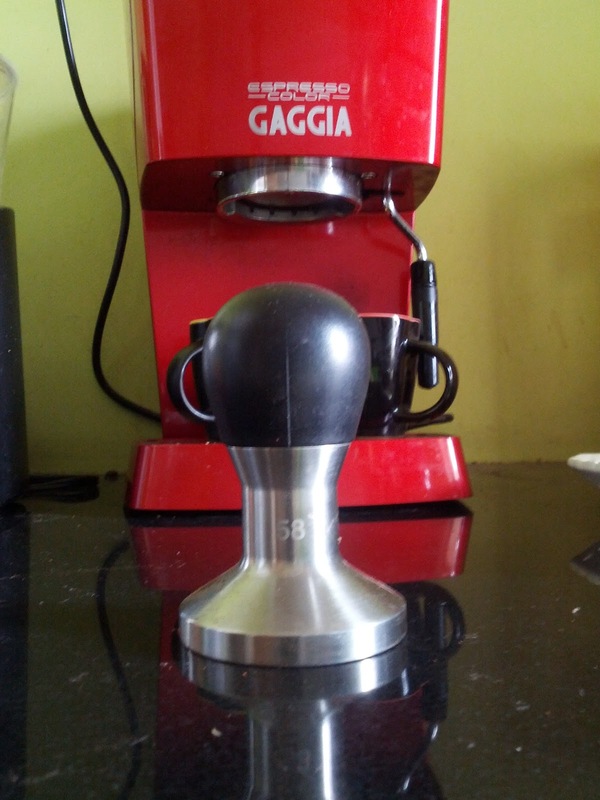 Well worth it to replace the flimsy plastic one that Gaggia includes in the box. Ironically, the most crucial purchase came much later. This is the Capresso Infinity Burr Grinder from Amazon which added the most amazing dimension to my espresso experience - the sweet smell of freshly ground coffee. 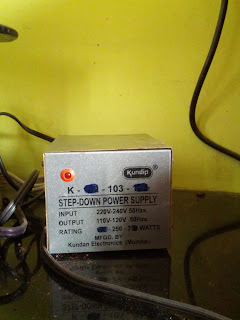 And since it's from the US and it's NOT dual voltage, it needs a step-down transformer (100W). Here is a picture of that indispensable little device, purchased from an electric store in Bandra West. Keeping equipment clean is important. 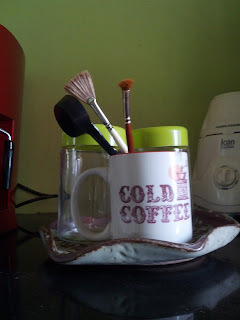 These are the Camlin art brushes that I bought from a local stationary store to remove troublesome particles of ground coffee that get lodged inside the grinder blades. Big Bazaar supplied this pretty pair of glass jars in which I store ground coffee (never for more than a day, though I am lazy, it's important to grind and brew fresh). 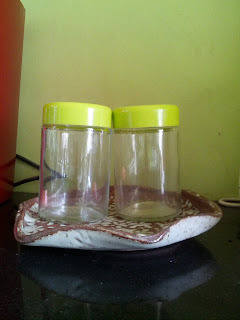 The jars cost just Rs.150. And if you are serious about coffee, you need to make space for it, which is not an easy proposition in a small Mumbai flat. 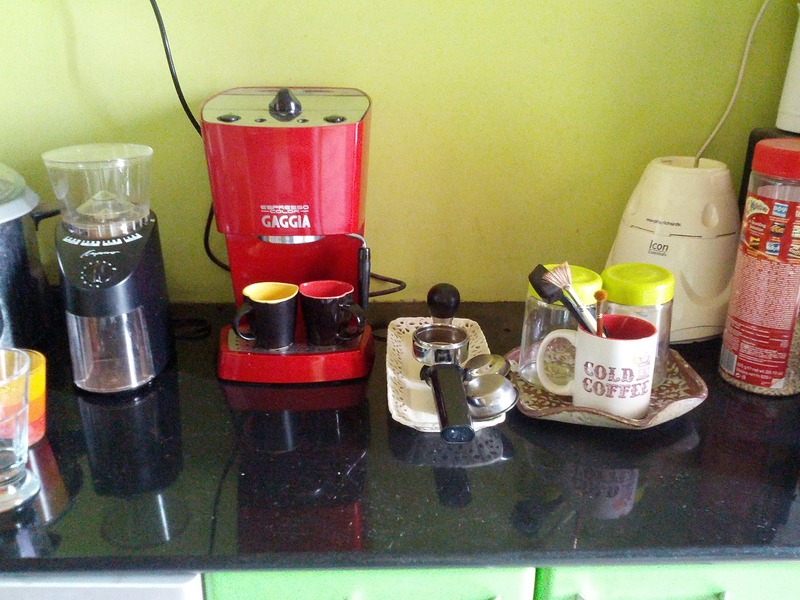 My coffee gear occupies most of my counter. 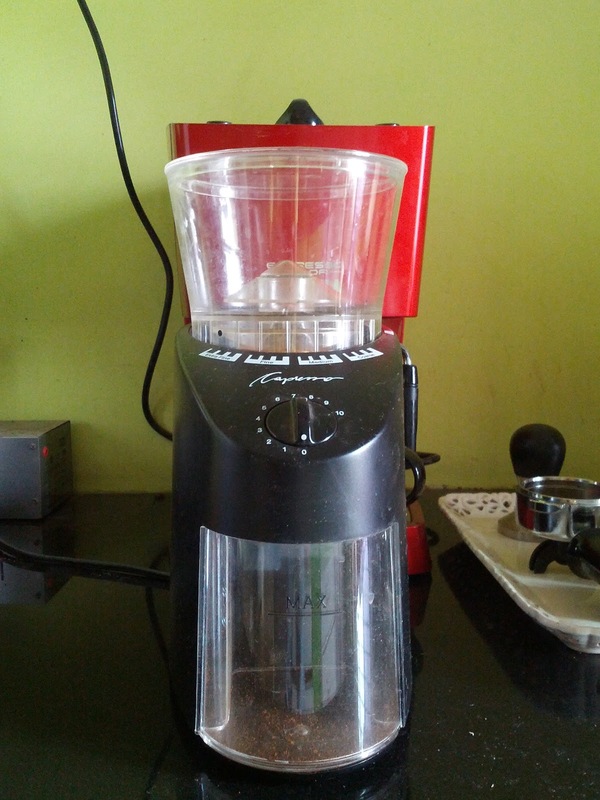 My current burr grinder is a Black and Decker that I have modded - but now I have grown out of it. 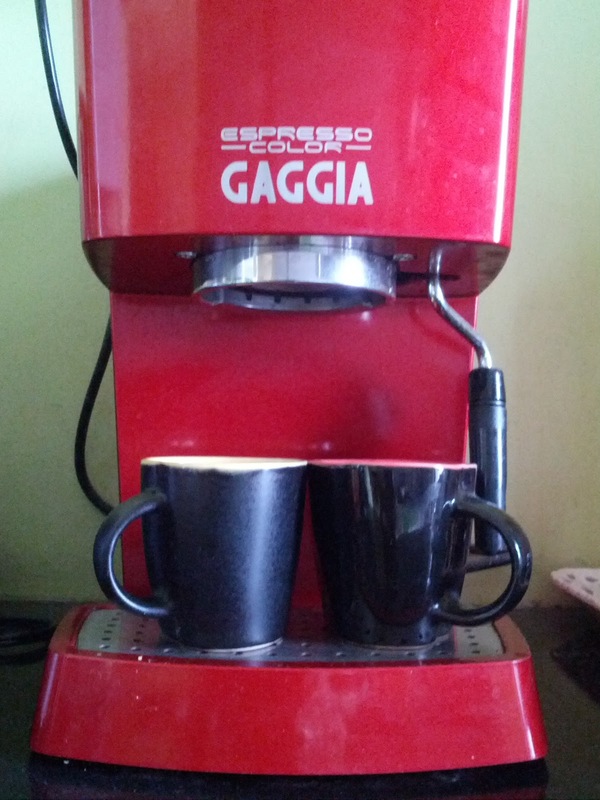 I'll get the Capresso and mod it to be stepless. My espresso machine upgrade however will be to this (http://www.jaipanonline.com/Products/jaipan-Food-Processors/Jaipan/JAIPAN-SOGO-ESPRESS-COFEE-MAKER-800W-CAF-SS-5625/pid-537632.aspx) . 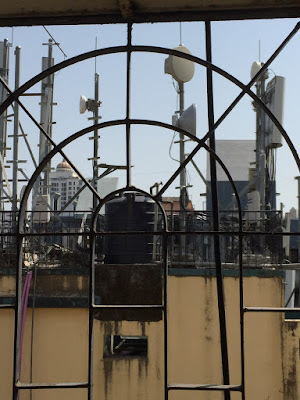 Where did you buy the baskets from ? My baskets are from Gaggia. 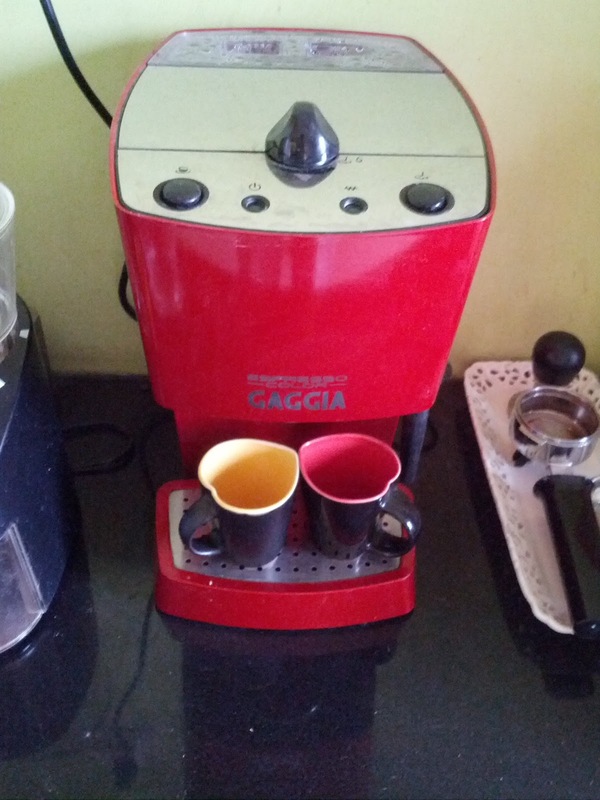 The advantage of Gaggia is that since they have an Indian franchisee, all spare parts, service and AMC are available easily.